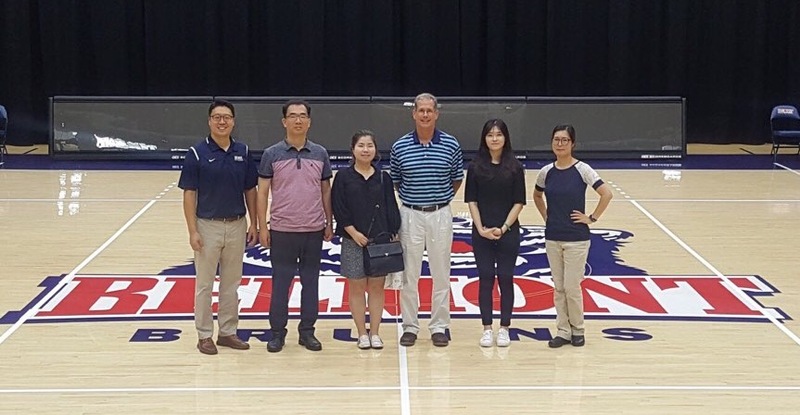 Staff members from Korea Sports Safety Foundation (KSSF) recently visited Belmont’s campus for a meeting with Associate Athletic Director Steve Barrick and Assistant Athletic Director for Sport Operations Colette Keyser. At the meeting, written safety and risk management protocol was shared and discussed including concussion management protocol, severe weather emergency plan, weather-related policies for extreme heat and cold and emergency action plans for the E.S. Rose Park facility.